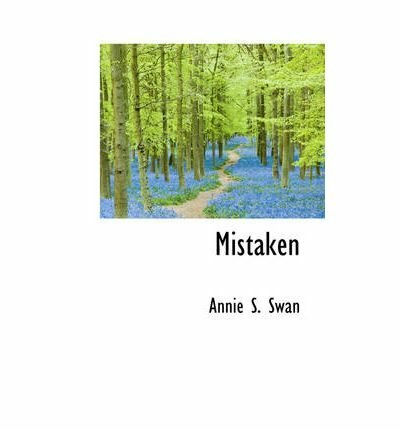 Mistaken by Annie S.Swan was written in 1896, it’s a very quick read but it wasn’t long before I had to stop and have a good look at the inside information, expecting to see the words Religious Tract Society as it has that sort of flavour about it, surprisingly though it isn’t an RTS book. Chapter 1 is titled DO THE DUTY WHICH LIES NEAREST TO THEE. The book begins with two young women friends who have just completed their schooling. Maud is from a rich family and Margaret is the eldest child in a family which is much less well off, but she’s the apple of her father’s eye and he was determined to send his favourite to an expensive boarding school where she has rubbed shoulders with supposedly superior girls. Maud’s influence on Margaret isn’t helpful to her personality. Maud thinks that they should be Christian missionaries within their own neighbourhoods, and for Margaret that means Hackney in London. Margaret neglects her family because her charitable work is more important to her, and although her mother is ailing and asks her for help with the younger children, Margaret refuses as she can’t be spared from her missionary work in Hackney. The fact is of course that Margaret is having a whale of a time lording it over the poor of Hackney and she’s dodging the drudgery of domestic work within the family home. So spoiled has Margaret been by her father that even when his wife in desperation asks him to intervene and get Margaret to help, he ignores his wife’s pleas. Nothing is more important than his beloved daughter and her missionary work. It’s only when a doctor tells him that his wife must go to the west of Scotland for a rest cure if her life is to be saved that he takes notice of her. All this time Margaret has been engaged to her friend Maud’s brother, who happens to be a church minister and he is unimpressed by her treatment of her mother, and also feels neglected by her. Margaret breaks off the engagement when he points out the error of her ways. Nothing is to get in the way of her good works. The inevitable happens, Mamma dies, despite being taken to the west of Scotland to gain strength. Henceforth Scotland would no longer be only a name to them, but a dear and sacred place, because upon it’s shores was their mother’s grave. Margaret’s life of atonement begins, taking the place of her mother to nurture the younger children. When her brother leaves school for Oxford University and eventually graduates, he’s full of gratitude to his sister-mother. So sorrow had been sanctified to Margaret Wayland, and she had come out of the deep unscathed, and was now more than ever a burning and a shining light, even in quite places. She had learned indeed to do her duty nearest to her and her reward was not denied her. 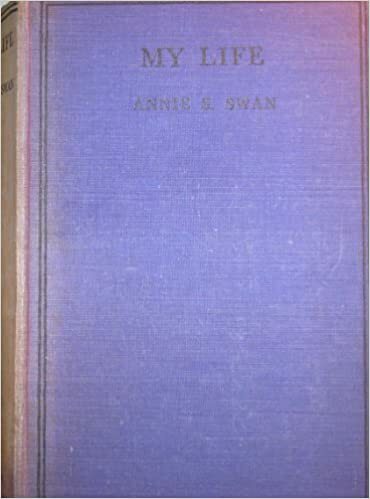 I’ve enjoyed some of Annie S. Swan’s books in the past. Her writing is very sentimental, of the Scottish ‘kailyard’ type, but this one was just a wee bit too much for me to take. I felt like screaming when inevitably the son of the house jaunts off to Oxford to get the makings of a successful life for himself, as he was entitled to do, but his sister should be satisfied with being an enabler. I know the book was written over 100 years ago, but that sort of attitude hung around for generations after that – in Scotland anyway, for those girls unlucky enough to have brothers. Mind you I think it was much the same in the rest of the UK too. I read this book for the Read Scotland 2015 Challenge. On our recent road trip down to England I bought quite a few books – surprise surprise I hear you say. I’m only sorry that I didn’t buy even more books as I saw two old Batsford travel books and I actually thought I had bought one Batsfprd book but I’ve just realised that the Derbyshire Dales book was actually published by Warne. I’m now regretting not buying Batsford’s England and Scottish Borders. Oh well, hopefully they’ll turn up at another time and place. I bought the Dean’s Film-Lovers Annual from 1934 for the photos in it, some of very famous film stars such as Bogart and Edward G. Robinson and an awful lot that I had never heard of so I’ll be googling them. There are interesting photos of film sets too and a photo of Harold Lloyd’s sitting-room showing bookcases full of books. I’d love to be able to see what they are.